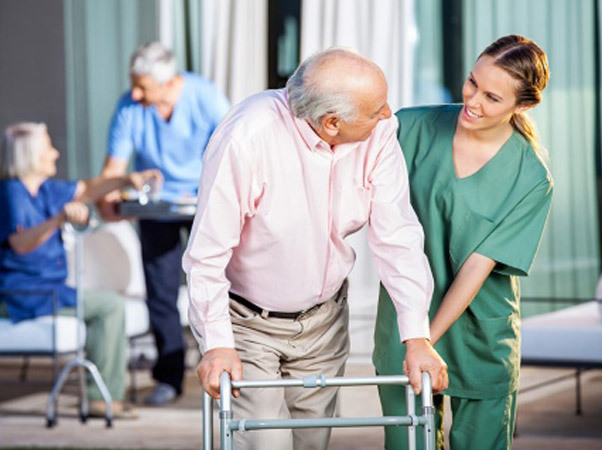 Physical therapists are healthcare professionals who help restore function, improve mobility and relieve pain in patients suffering from a disease that limits physical motion or those who are injured. They play a vital role in maintaining and promoting overall fitness and health. Apart from developing a treatment plan to prevent loss of mobility altogether, they also develop wellness programs for patients to live healthier and more active lifestyles. Some therapists prefer private practices and some are also associated with hospitals, clinics, and other healthcare institutes. Physical therapy is a dynamic profession and therapists need to maintain a certain conduct and possess certain qualities for success in this field of work. Along with being patient, knowledgeable, credible and compassionate, a therapist also needs to be organized while they work with many patients’ day in and day out. This is where using Apollo physical therapy software can be helpful. A therapist should be up to date with the knowledge required to diagnose and treat a patient. He should be able to find solutions to the ailments and help restore their function. Knowledge sources are plenty – you must be able to keep up with the ever-changing trends and adopt them in your daily practice. Along with being realistic with patients, physical therapists are often very humble and communicate with their patients in a manner that they understand. The decision about a patient’s health is never just another ‘case’ or a job. All patients are not equal. Some of them are more cooperative, and some are not. Some might have more difficulty following through with your instructions, and some might be more easy to deal with. Even if a patient comes to you with a seemingly ‘commonplace’ problem your patience while you explain the cause and the diligence you show while you treat them, will reflect well on your practice. So, patience is the key to success in these cases. Having a positive attitude reflects well on the person you are. The same reality can have different perspectives and different ways of looking at it. A successful physical therapist knows how to accentuate the positive and redirect the negative and focus on what action plan works best for the patient. A successful physical therapist thoroughly understands what he can and cannot do. Painting a rose-tinted picture for a patient does not work well if you cannot deliver. So, be realistic. Caring is a real virtue in this profession. If you show patients that you care enough, they will listen to your instructions and follow through with your advice. Along with treating patients, you have a lot of other things to do such as scheduling appointments, working with support staff, administration and billing. Getting organized and automating a few processes is the key to success. Physical therapy practice management software can help you get organized. Patients may feel vulnerable and sometimes even embarrassed during their treatment and recovery. To help ease their nerves is the job of a physical therapist. Being supportive and compassionate is the key to success. A patient should look up to you as someone credible and accountable. Only then can the therapy be successful. All your treatment efforts are in vain if the patient does not see you as someone accountable. The importance of transparent communication cannot be emphasized on enough. If the patient thoroughly understands his condition, he will be more cooperative when it comes to executing the treatment plan. A physical therapist must have all these qualities and more to run a successful practice.